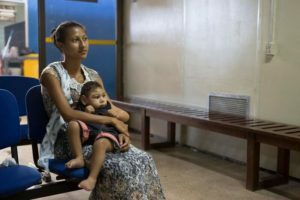 The world’s public health experts have been actively addressing the Zika crisis since it was discovered two years ago. Travel warnings, diagnostics testing, pregnancy guidelines and vector control have prevented substantial numbers of infants born with the devastating impacts of microcephaly. The CDC followed up 1450 US children born to mothers who had suspected or confirmed Zika, and released the findings from their one year follow-up. In addition to microcephaly, the infants had an increased rate of birth defects and neurodevelopmental delays. The study also found that the majority of children had not undergone neuroimaging or an eye examination, leading to missed opportunities to detect and possibly address problems at an early age. The authors recommended increased screening among pediatric providers and referral to specialists for children of zika-exposed mothers. The CDC will continue to follow these infants, and is currently following up a Brazilian cohort through the ZODIAC study. As we await the results of these longer-term studies, these findings are a stark reminder that infectious disease emergencies, especially those that impact reproductive health, may have consequences that last generations.